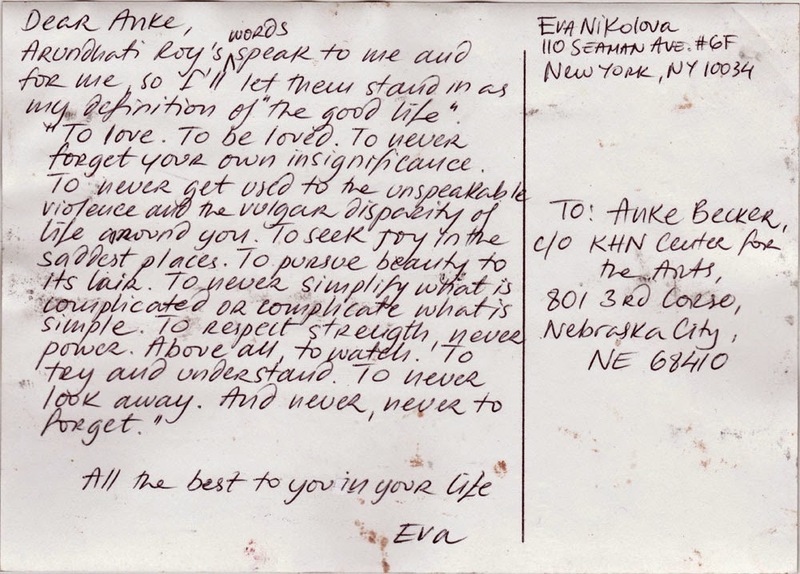 A postcard from EVA NIKOLOVA, Eva is a Bulgarian‐born visual artist, based in New York. She works primarily in drawing, printmaking, hand‐drawn animation and alternative photo processes exploring themes of memory and identity in relation to a sense of place. She holds a BFA in Painting and Printmaking from Southern Illinois University and a MFA in Printmaking from Indiana University, Bloomington. In Eva's artist statement I found many topics closely related to "Fernweh..the good life: "My work grows out of a sense of place - a place which, while it is very much part of me, I am no longer a part of. The deep affinity I feel for emblematically Balkan structures and sites is the corollary to the rapid homogenization of space in a world madly rushing towards cultural and economic singularity. But the intense gravitational pull of these images on my immigrant’s imagination is also rooted in a sense of personal dislocation – as much cultural as physical. In grappling with the meaning of “Home”, the house – the archetypal image of home – takes on narratives of memory, longing, desire, and ultimately opens up onto issues of identity. 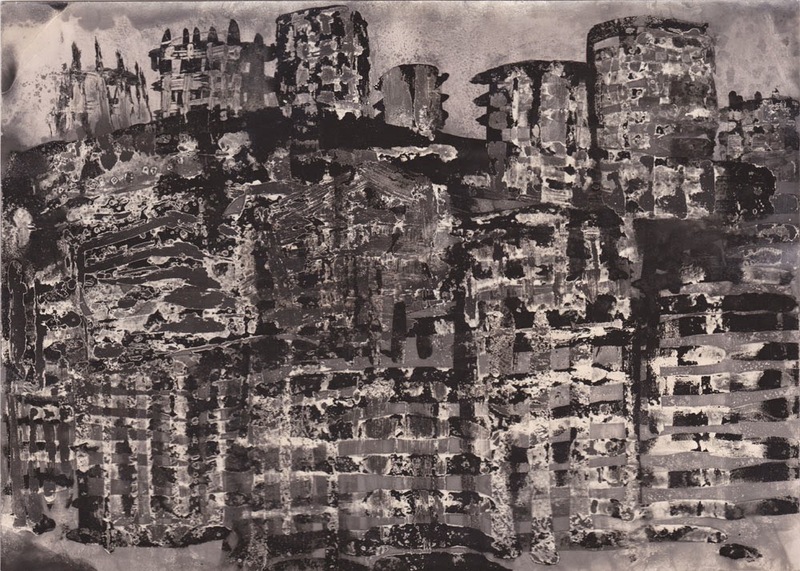 Architecture becomes the allegorical guise through which I explore the connections between iconic cultural objects and the construction of identity and memory - personal and collective, individual and national."